As the year heads toward an end, what better way to reflect than to look back on the pieces that moved you. Thank you for joining me for another year on our intellectual and philosophical journey of discovery. Looks at the role of mindset in motivation, learning, and self-regulation. It’s more complicated than money. This is the path, the rest is up to you. Feynman articulates the difference between knowing the name of something and understanding it. An argument to spend more time thinking. The modern storm of bits and stimulation, relents only when we sleep. The number one thing to understand about influence is that people make decisions for their reasons, not yours. Tony Schwartz and Jim Loehr argue that energy, not time, is the key to managing performance. Time travel to the 2014 list here. Most public companies issue an annual letter. These letters offer an opportunity for the people entrusted to run the company to communicate with the people who own the company. I decided this would be a good year to start a similar tradition at Farnam Street. It’s not that I haven’t written annual letters before. As a board member and advisor, I’ve written a few in the past. However, I’ve never written you an annual letter before. There is no good reason for that. To a large extent, I consider you to be the owners of Farnam Street. Investors, or owners, traditionally exchange money for shares in a company. I think your investment in Farnam Street is just as important. You trust me with something far more valuable than money: your time. For all of us, time is finite. That means we need to think about opportunity costs. Reading Farnam Street means you’re not doing something else. My job is to make sure your investment is getting an above average return. 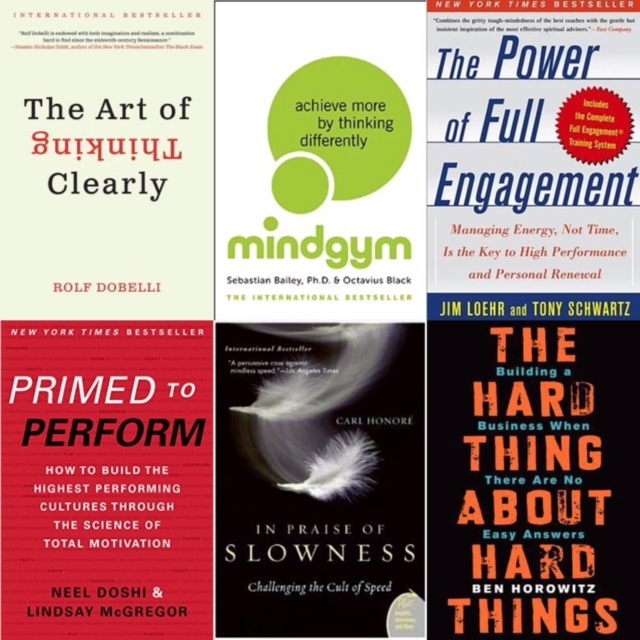 2015 was a record year in almost every reader-related metric for Farnam Street. The number of Farnam Street readers increased dramatically. The time people spent reading a page (a good proxy for how interested people are in the content) increased. The bounce rate (a fancy phrase for the percentage of people who look at one page and then leave the site) decreased dramatically. In short we had more people who read longer and looked at more pages. We offered three public Re:Think Workshops (Leadership, Innovation, and Decision Making). This took a lot of effort from an amazing team. The quality of people who attend these events continues to blow my mind. One former Harvard Business School professor summed it up nicely by saying you won’t find a better crowd of people at a public event anywhere. The feedback for all of the events was positive with the exception of one person (over 100 positives and 1 negative – we’ll take it). I felt we were at risk of spreading ourselves too thin, so we’ve decided to pare down to two in 2016 (Decision Making in February, which is already sold out, and Innovation in the fall). We’ve opted to put Re:Think Leadership on hold for now. Additionally, we have 13 people coming to Re:Think Decision Making who have attended Re:Think workshops in the past (including 6 who are attending Re:Think Decision Making for the second time) — I can’t think of a better metric to help gauge success. The Knowledge Project, a successful podcast, launched. The first few episodes have been downloaded over 100,000 times. The audio quality sucked at first — which is entirely my fault — so we’ve spent a lot of time and money getting that to a decent place. I can tell you firsthand, the quality of conversation doesn’t matter if people can’t hear it. We’re much better now but there is still a lot of room for improvement. Our first ever online product: How to be Insanely More Productive launched. I remember being on a train coming back from Toronto when I first put this online. I figured this was a good place to start as I’m often asked to talk about productivity. I guessed about 50 people would sign up and I’d get some good feedback on how to deliver an online course that delivered tangible results in people’s lives. I was blown away by the participation levels and extremely positive feedback. I still get emails almost weekly from people saying how it helped them gain control of their lives and spend more time with their family. However, similar to the first episode of The Knowledge Project, this webinar offered first-rate content in third-tier packaging. I had another webinar planned for September on How to Read a Book, but I delayed the launch until I could find the right people to help re-package and re-formulate the material into something much better. Membership program and the economics of running an online media company. Perceptive readers will note the change of perspective from “I” to “we” in recent posts and newsletters. Farnam Street had reached the point where I couldn’t do the things I wanted to do long-term and still keep the day-to-day going. Despite having a team of people working hard to bring you events like Re:Think Decision Making, it’s largely been a one-person endeavor until now. I had to decide between pursuing my goals short-handed, which limits what can be accomplished, and growing with like-minded people who share my vision for Farnam Street. I chose the latter. And the first such hire started in November. In late summer I started courting Jeff Annello to work with me at Farnam Street full-time. Not only does Jeff exemplify the Farnam Street ethos but he’s a paragon of quality thinking. We’ve worked together in the past and had been waiting for another opportunity to do so. Many people don’t realize that Farnam Street takes hundreds of hours and thousands of dollars a month to sustain — and that was before bringing Jeff on board. For years, generous readers like you have supported Farnam Street with donations. Without exception, I’ve reinvested all of that money back into Farnam Street. I wish all help came as cheap. Jeff and his new fiancé, as you can imagine, don’t fully subscribe to this long-hours, no-salary package. This was the impetus that led me to Re:Think the donation model. While I haven’t done away with donations, you can still contribute that way if you wish, I’ve opted to focus on a membership program. Online media properties, as you probably know, are going through a bit of a rough patch as they look for ways to create and capture value. The problem, from a reader’s perspective, is that most of these organizations want to capture more value than they create — they focus on the wrong side of the equation. This leads to a short-term engagement between creator and audience, as the latter realizes they’ve been had. Farnam Street takes the opposite approach: Add so much value that people want to support it. Our goal is to be so good that having a membership becomes a no-brainer, while at the same time, using some of the proceeds from paid membership to improve the free areas of the site. The vast majority of content will always be free, and you can expect the free content to increase in quantity and quality as we head into 2016. If you find value in Farnam Street, we hope you’ll consider contributing either through an individual or corporate membership. One thing I want to make clear is that, although I’ve done a good bit of the work to date by myself, Farnam Street is a team. There is no way we would have gotten where we are without the wonderful support of a few key people who wish to remain behind the scenes. These people play more of a role than you can imagine and we all owe them our thanks. I also want to thank our lead sponsor for 2015, Greenhaven Road Capital and our two lead sponsors for 2016: Slack and Siebels Asset Management Research. It’s not too early to start thinking about 2017. If you’d like to inquire about sponsoring the blog please get in touch with me. We have no idea what tomorrow will bring so we try to prepare for an uncertain future. I show up to the office every day looking for opportunities to move forward in the best way I can. That’s usually putting one foot in front of the other and trying to make incremental progress without regressing. So I turn 36 this weekend. Ask anyone that knows me and they’ll tell you I’m difficult — or even impossible — to buy presents for. Which isn’t true. I love wine, books, and memberships. But most of all, I love it when people do something nice for someone they’ll never meet. In the past, we’ve given to the Ottawa food bank and purchased over $10,000 in books for schools that need them. Together we’ve done some amazing things. Now I want to do something I’ve never done on my birthday. In lieu of gifts, my birthday wish this year is to raise $1,000 supporting something near and dear to my heart: Education. Why? Because the best way out of poverty is literacy. I want to give back to the most in need, most impoverished schools. And I want your help. What if it were your kids going to these schools? I’m giving away one ticket to Re:Think Innovation this September in Chicago. Spread the word however you can (Twitter, Facebook, Megaphone, …). Send people to this post or the Donorschoose.org page. Lastly, answer one question at the very top of your comment: “What does literacy mean to you?” Put “#LiteracyMeans” at the very top, followed by your answer. This is an IQ test in following directions, as I’ll skip entries without #LiteracyMeans at the top. I’ll pick the winner on Monday July 13th. You must be over 18, void where prohibited, no aliens, etc. The best reason of all is that you’ll feel awesome. Even if it’s $1 it would mean the world to me. Again, here is where you can donate $36, $1, $1,000, or whatever you can. What better way to send off 2014 than a look back on the most read and shared articles on Farnam Street in 2014? 1. Hunter S. Thompson on Finding Your Purpose and Living a Meaningful Life — some of the most thoughtful and profound life advice I’ve ever come across. 2. The Buffett Formula — How To Get Smarter — Most people go through life not really getting any smarter. Why? They simply won’t do the work required. 4. How To Read A Book — If you’re like most people, you probably haven’t given much thought to how you read since, errr second grade. 7. Ten Techniques for Building Quick Rapport With Anyone — Warning: the content in this post is so effective that I encourage you to think carefully how it is used. I do not endorse or condone the use of these skills in malicious or deceptive ways. 8. Things You Need to Stop Doing — Rather than read all of these self-help books full of things you should start doing to be more productive, it’s often better to look at what you should stop doing that gets in the way of productivity. 9. What the Most Successful People Do Before Breakfast — Taking control of your mornings is very much like investing in yourself. #2 and #7 made the list two years in a row. According to Google Analytics, people spent the most time reading: Ten Techniques for Building Quick Rapport With Anyone, The Japanese Art of Decluttering and Organizing, John Gottman on Why the Little Things Matter in Relationships, Dan Harris on being 10% Happier, and How to Think Like Sherlock Holmes.